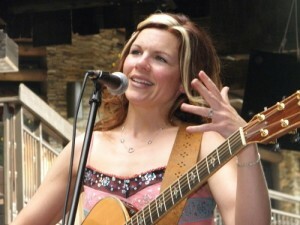 The 2nd Annual Smoky Mountains Songwriters Festival is on next week August 15-18, offering a unique musical experience and filling Gatlinburg with four days of free music events. The musicians who write the hit songs known the world over congregate for four days in Gatlinburg to share their skill and experience and tell the stories behind the hits, and also perform their live versions of the songs they wrote, along with other talented performers and original music. The festival launched last year and immediately established itself as here to stay, bringing Gatlinburg a truly impressive, high quality new musical event. Probably everybody at one time has dreamed up a line or a catchy little refrain and wondered if it could be turned into a real song. The Songwriters Festival is the place to find out, and aspiring songwriters from across the country are coming here to learn the trade through the event’s workshops, to meet and greet industry professionals, to play music and to take part in the songwriting contest. 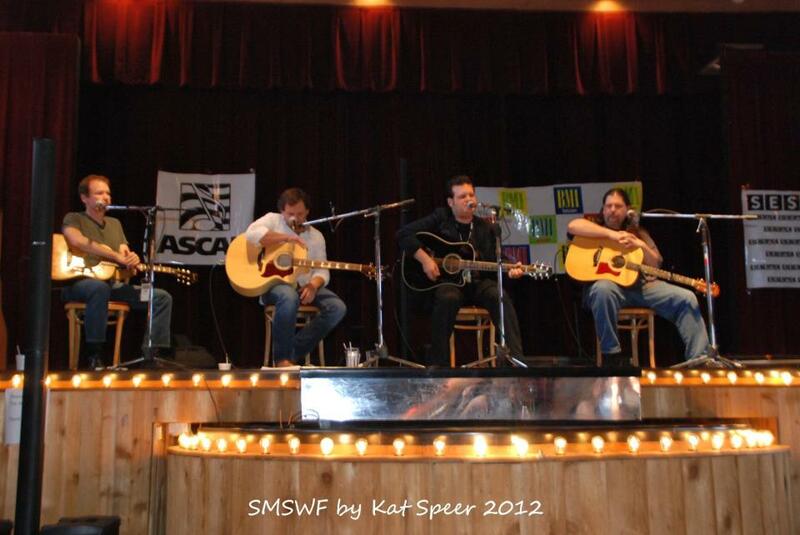 The mission of the Smoky Mountains Songwriters Festival is to help songwriters publish and produce their work, and to get the songs out to the music-loving audience. For those with an interest in the craft, the workshops are a rare and very reasonably priced way to learn the ins and outs from extremely talented professionals. But the Songwriters Festival very definitely also aims to please most of us non-writers who simply enjoy great live music in a fun and family-friendly atmosphere, and it’s hugely entertaining. It’s a unique experience that opens up music in a way many of us have never experienced before. The festival is a celebration of our “Appalachian musical roots,” featuring country, bluegrass and gospel songs combined with mainstream popular huge hits. 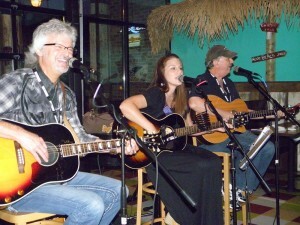 Several dozen songwriters will perform their hits and entertain, and several venues around Gatlinburg will host live music shows open to the public. This year features a “band playoff” with the finalists showcasing their original music. Additionally, more than 200 original songs were entered into the songwriting contest this year, and the songwriter finalists will perform and be awarded on Saturday night, August 17. For the mass of details about songs, performers, venues and dates & times, be sure to explore the Smoky Mountains Songwriters Festival web site. You’ll also find about a million photographs of the festival from last year to whet your appetite for this year’s party! And check the event’s Facebook page for late-breaking news. This is a great weekend to check our specials and rent a cabin, and then kick back and fall under the spell of the 2013, Second Annual Smoky Mountains Songwriters Festival, in Gatlinburg, Tennessee!